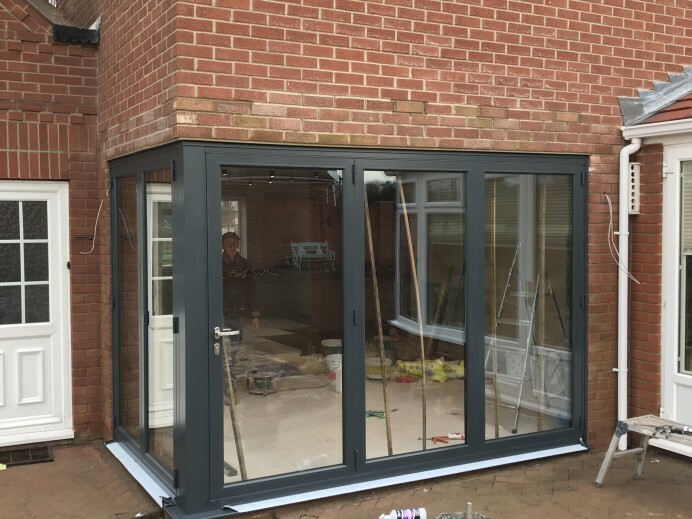 With recent innovations available within the bi fold door industry, customers have more and more freedom in design when choosing the perfect Bi Fold for their home. With many companies offering various versions of track, handle, colour and threshold options, customers really are able to create something that is unique to their home. 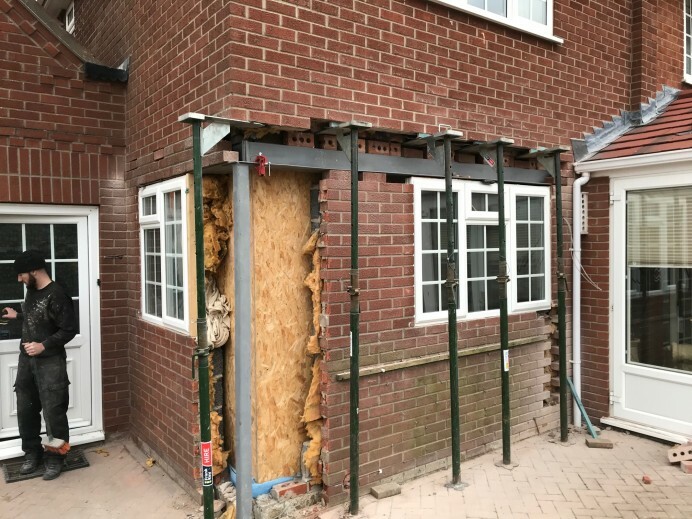 Take this customer for example who wanted to have two sets of bi fold doors installed in their home, as a way of letting more light into their dining room. 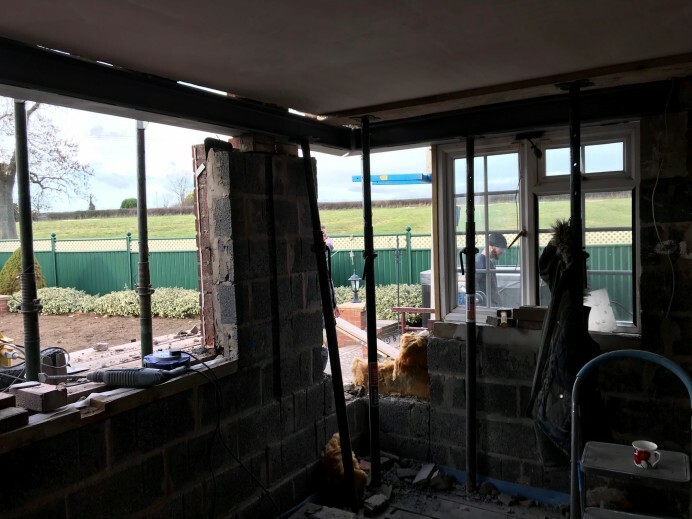 After having a home appointment with a member of our team, it was found that the corner of the property, where the dining room was located, received more light through the day than any other section of the home. 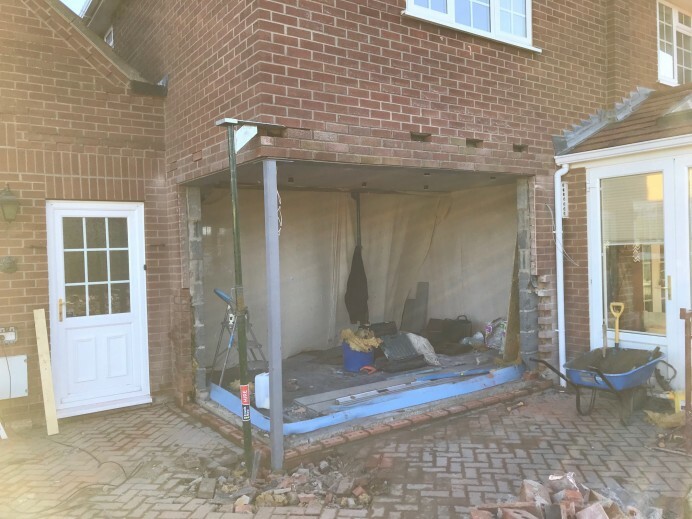 With this in mind, our team suggested that the customer consider about having a corner post Origin bi fold door installed to allow as much light as possible entering the space, to which the customer agreed was the best solution. 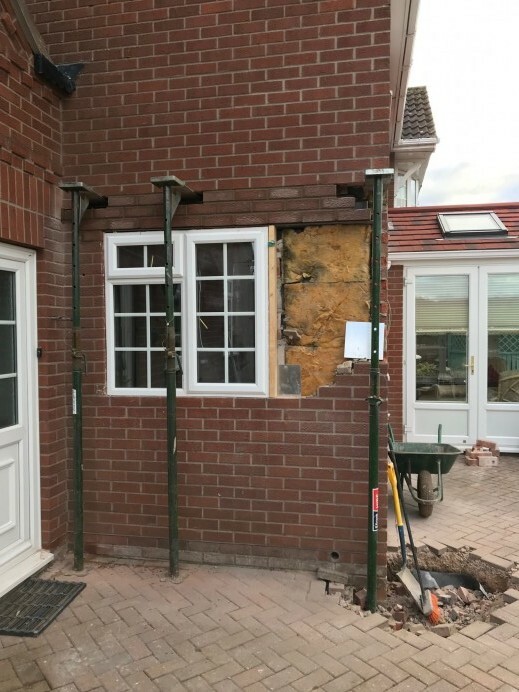 In order to create the post Origin bi fold, our team had to remove the current windows and brickwork first, and then install a steel frame above where the corner Origin bi folds would be fitted. As you can see from these image, the job went extremely well, and the final results look brilliant as well.